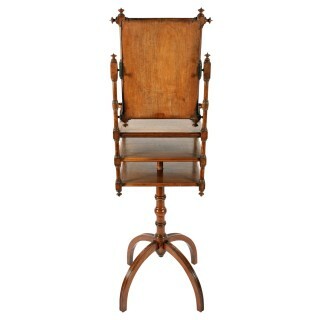 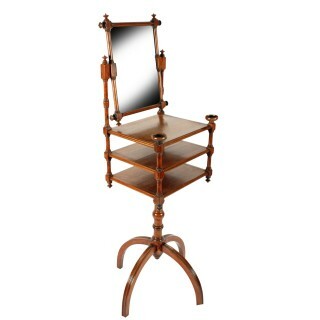 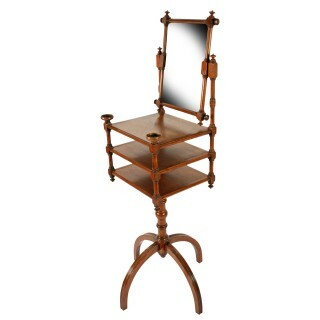 A late 19th century Victorian walnut dressing/shaving stand. 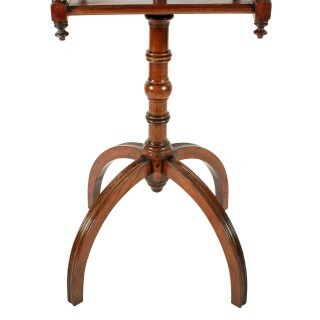 The stand is an aesthetic design, the top part can revolve on the stand which has four down turned curved legs and a turned pillar. 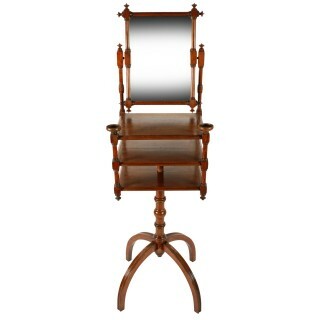 The top has a bevel edged mirror held in a turned walnut frame with finial ends. 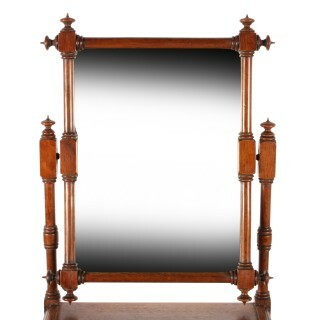 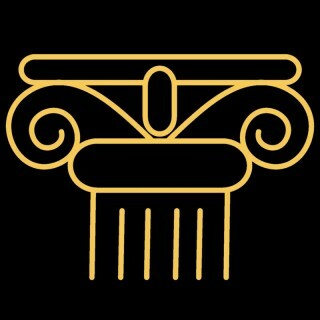 The mirror is held between two turned pillars from which it can tilt. 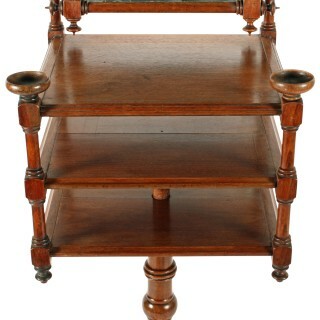 The working surface has two shelves below all joined by matching turned supports. 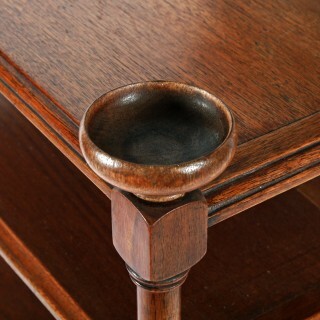 The front of the top has two small turned walnut dishes to hold pins, buttons, cuff links or collar studs etc.